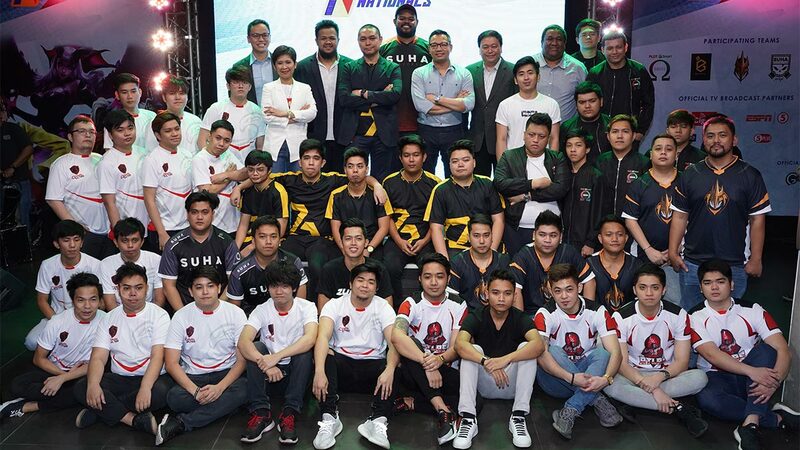 AFTER 40 group stage games among five teams, the Dota 2 conference of the 2019 The Nationals is now heading to its playoff with the top three teams fighting for the title on Sunday (14 April) at the Gariath Concepts in Eastwood City, Libis. The three playoff-bound teams are the Cignal Ultra Warriors, wh finished with the best record of 13-3, followed PLDT-Smart Omega at 11-5, and the Suha-XCTN Punishers with an 8-8 card. As top seed, Cignal goes directly to the best-of-five grand finals at 3 p.m., while second seed PLDT-Smart plays No. 3 Suha-XCTN in the best-of-three playoff showdown starting at 10 a.m. The total pot money for this conference is P700, 000, withinaugural champion taking home P400, 000. Eliminated in the playoff stage of The Nationals were two teams with the youngest players, the Happy Feet Emperors (5-11) and the Bren Epro (3-13). The Warriors clinched the top seed when they secured a 2-0 win against Epro on their last group stage match-up last Tuesday, 9 April. Their tempo is currently the best in the league, finishing games in an average of 31 minutes. Their carry, Nando, also leads the league in last hits and GPM (gold per minute). While they remain as the favorite, the Warriors' potential finals opponent has shown that they pose a serious threat. Of Cignal Ultra's three losses, one of those came against Omega and two against the Punishers. Omega is one of the league's most efficient teams, and their coordination is reflected in the stats sheet – their cores Nasjo and Palos are currently first and second in KDA or kills-deaths-assists ratio. Their captain Ronn also leads the league in assists. Meanwhile, the Punishers live true to their name as their carry Jamesy and Japoy are currently top two in kills per game. The Nationals is the country's premier esports league, and Dota 2 is just one of the three games on spotlight in the competition's first year. The playoffs can be watched this Sunday starting 9:30 a.m. through livestreaming at FB.com/PHNationals. It will also be in 5Plus via TV5 starting at 10 a.m., as well as in OneSports and EGG Network via CignalTV starting 3 p.m.